We Day is a major effort to encourage young people to do good things in their communities. CHICAGO (WLS) -- We Day is a major effort to encourage young people to do good things in their communities.ABC7 Chicago is a proud sponsor of the empowerment event, to which participants have to earn a ticket. Mark Burlgarelli, 12, of Barrington, hurt his head on the basketball court. Now he's being serenaded at Lurie Children's Hospital in Chicago. "If I sing a song, that could go a long way for somebody who is having a bad day. That's really what I'm hoping for is to brighten someone else's life," Tyra Taylor, Common Ground Foundation volunteer, said. Student groups from all over Illinois are doing service projects to earn tickets to the major concert later this month. "We could help them think globally and we could provide that opportunity to reinforce that it's good and it's cool and we want you to be those kinds of people thru-out your life," Francie Schipke Richards, Free the Children event organizer, said. The message is simple for Cherelle Taylor, a Common Ground volunteer. "I'm letting them know that you're not the only one going through this and there's always the one thing that can push you through and you will be successful," Taylor said. We Day organizers have already held these events in 14 cities around the world. More than 200,000 young people have been involved. We Day Chicago is April 30 at the Allstate Arena. 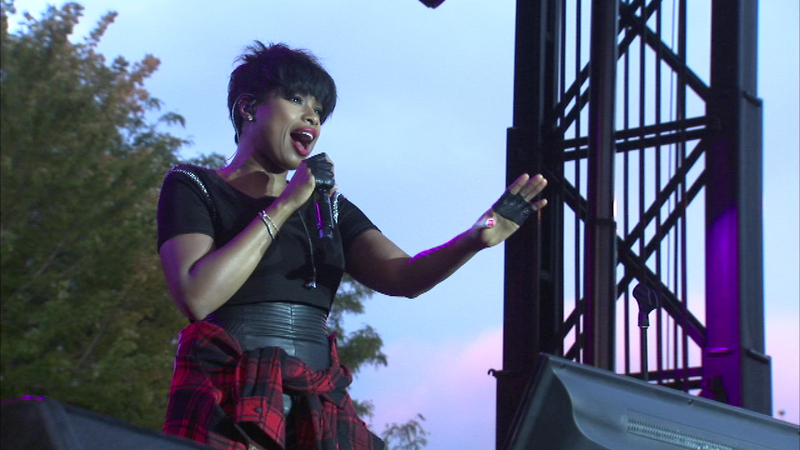 Common, Jennifer Hudson, The Band Perry, Babyface, Colbie Colliet and many others will perform. Selena Gomez is the host. Some of the biggest names in entertainment are coming to Chicagoland to help inspire youth at Illinois' first-ever "We Day."